The man affectionately known as Captain Canada is ready to join some elite company. He holds the Team Canada record for most games played at 78 and has led his country to numerous gold medal moments on the world stage. And although Ryan Smyth won't be wearing the red and white jersey emblazoned with a maple leaf when he hits the 1,000 games played mark in the NHL on November 6, one of the game's humblest competitors will truly savor the moment. 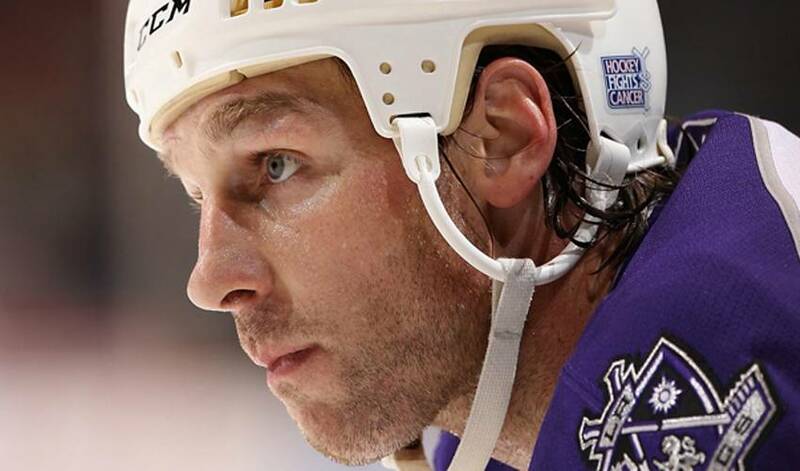 For the past 15 years, Smyth, now in his second campaign with the Los Angeles Kings, has been a model athlete on and off the ice, an offensively-gifted player who has been a dominant figure in the community in every city he's played in. When he reaches his milestone moment, the fan favourite will no doubt be reminded of the words he often tells aspiring NHLers. "When I meet with kids, I always tell them to dream those dreams and work hard for it,” said Smyth, the sixth overall selection of the Edmonton Oilers in the 1994 NHL Entry Draft. It's something Smyth did at an early age when he set his sights on a professional hockey career. After a successful three-plus season career with the Moose Jaw Warriors of the Western Hockey League, Smyth appeared in three games with the Edmonton Oilers in the 1994–95 season. The following campaign, he netted his first NHL goal, on November 24, 1995, against the Calgary Flames. Smyth also earned the distinction of breaking two of Hall of Fame legend Wayne Gretzky's Edmonton's records, scoring 20 goals on the power play in just his second full season, and scoring three goals in 2:01, breaking Gretzky's club record (2:18) for the fastest hat trick by an Oiler on October 12, 2006. And while he wasn't try to play his way into the hearts of Oilers' fans, Smyth admits he's grateful for the support of those in the stands. On February 27, 2007, after 12 years with the Oilers, Smyth was dealt to the New York Islanders, in exchange for Robert Nilsson, Ryan O'Marra and the Islanders' first-round selection in the 2007 Entry Draft. One day later, he held an emotional news conference at the Edmonton International Airport, where he thanked the Oilers organization and the fans. In July of the same year, Smyth signed a five-year, $31.2 million contract with the Colorado Avalanche. He was limited to 55 games during the 2007-08 season due to numerous injuries, recording 14 goals and 23 assists. Smyth was traded to Los Angeles on July 3, 2009, where he was a welcome addition to a Kings' club that was in need of a strong veteran presence. He reached the 20-goal mark, giving him 10, 20-goal seasons in his NHL career. He also registered his 700th NHL point March 4, 2010, an assist on a Drew Doughty power-play marker. "Ryan is the type of player who fits with our team," said Kings General Manager Dean Lombardi. "He fills an important need as he is a competitive, gritty scoring left-winger, and he fits with the overall identity we continue to build here." But it's not only in NHL circles where Smyth has made his mark. The native of Banff, Alta., represented Canada at the IIHF World Championships seven straight years from 1999-05, winning gold in 2003 and 2004. He served as captain for five of those seasons (2001-05). Smyth also played for Canada at the 2002 and 2006 Olympics, winning gold in 2002, and in the World Junior Championships in 1995. For now, Smyth will keep his focus on making it memorable season for the Kings and, in less thanmoments in his career.